Like what said by Bonnie, data loss is everywhere rather than the most popular device, iPhone. If you own an iPad touch and fall into troubles and difficulties to get desired deleted data back from iPod touch, this post can be of help and support. 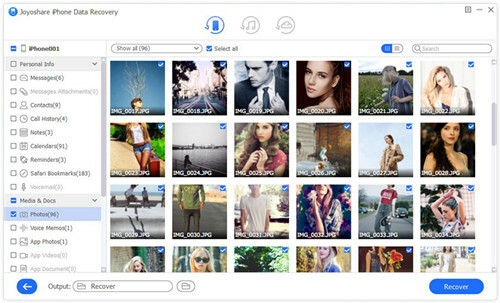 It eschews direct recovery from iTunes and iCloud and uses the third-party data recovery software, Joyoshare iPhone Data Recovery, as a medium to replace. All these introduced three solutions are professional and will not damage the existing data. 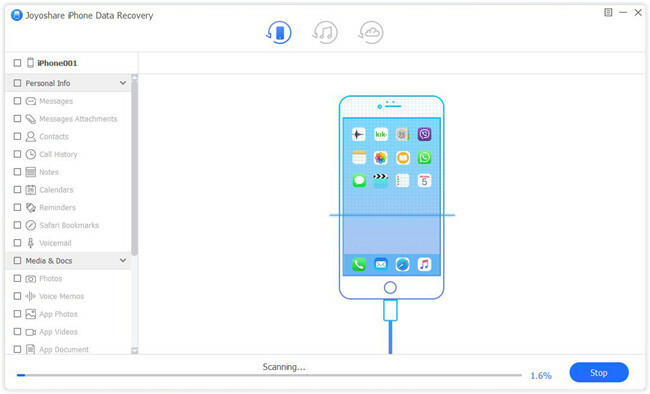 Joyoshare iPhone Data Recovery is applied itself to recovering more than 20 types of iOS data from iPhone, iPad and iPod touch. It comes with trusted professionality and considerate service, aiming at retrieving lost iPad data with no further overwrite and damage. With its help, data, including photos, iMessages, WhatsApp/Kik/Viber attachments, notes, videos, call history, calendars, reminders, Safari bookmarks, etc. can be scanned, analyzed and restored with high success rate. There are more options offered to facilitate you, such as two-factor authentication support, real-time preview, multiple device connection, HEIC to JPG conversion, etc. You can decide whether to save the file to CSV or HTML in your own way as well. It's time for you to have a close look at the following guide, which shows you how to directly extract deleted or lost data from iPod touch, even with no aid of iTunes or iCloud backup. Go to visit the official website of Joyoshare. Download and install Joyoshare iPhone Data Recovery. Continue to open this program and connect iPod touch with your computer under "Recover from iDevice" mode. Whoever connects it to a computer for the first time needs to remember to make authorization. 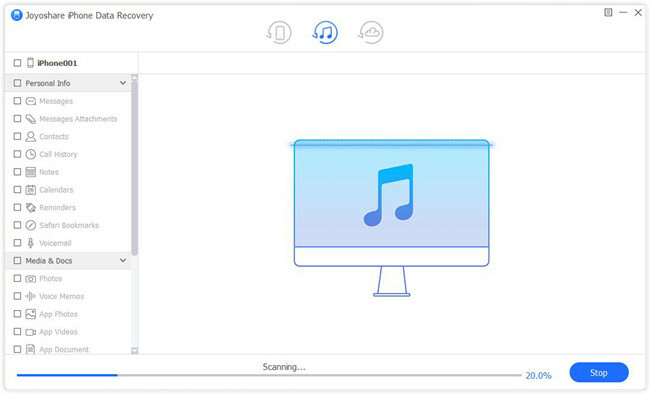 This iPod recovery software can detect and recognize your iPod touch to display all related device info. On its left, you can uncheck all marked data types and only select what you want, for example, "Photos", "Safari Bookmarks", "Call History", "Contacts", etc. Simply press on the "Scan" button. 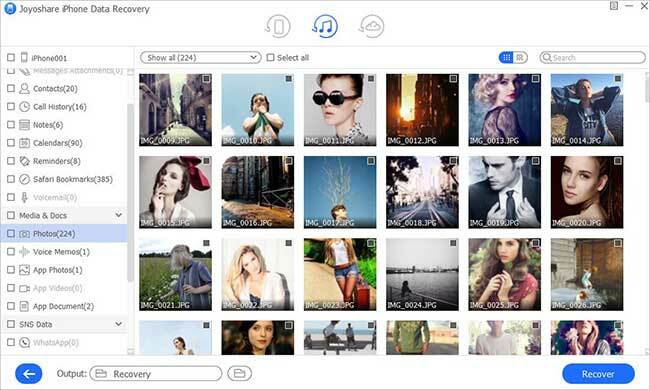 Having scanned iPod data, Joyoshare will classify all results in different categories. 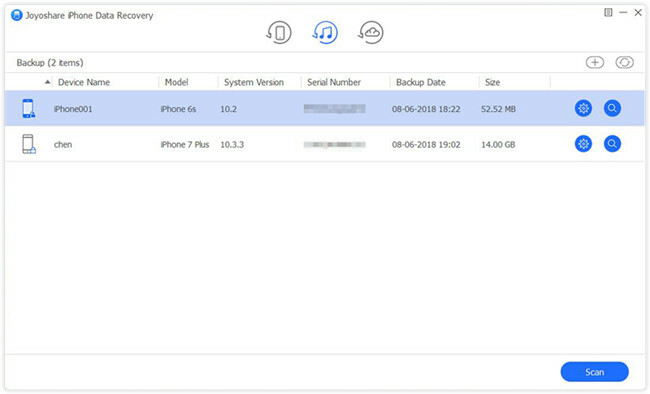 Go to specific one to preview iPod data as you like, tick needed items and click on the "Recover" button to start data retrieval. You may have synchronized the data from iPod touch to your iTunes. In this case, you are allowed to have more chance. Follow the steps below to get details on how to recover iPod data from iTunes backup. The one who has backed up iPod data to local computer doesn't need to connect device this time. 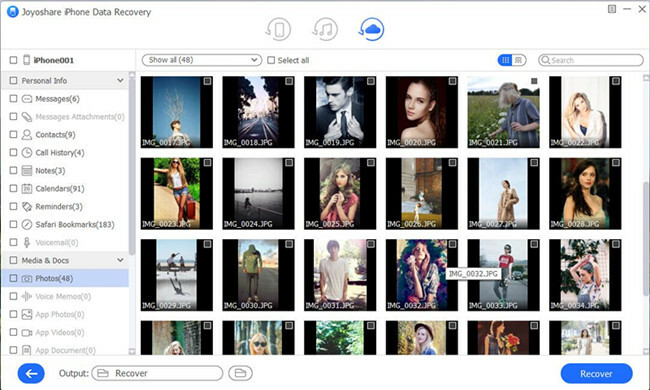 Just launch Joyoshare program and choose "Recover from iTunes" as your recovery mode. All of the previous created iTunes backup can be detected and listed for your reference. According to the backup date, serial number, model, etc., select one designated iTunes backup. Then hit its "Setting" icon to confirm iPod data type and click the "Scan" button to start scanning files. After scan, all recoverable contents will be displayed orderly. Have a preview, do a quick search or filter out unnecessary data. Get wanted iPod data chosen and tap on the "Recover" button at the right bottom. 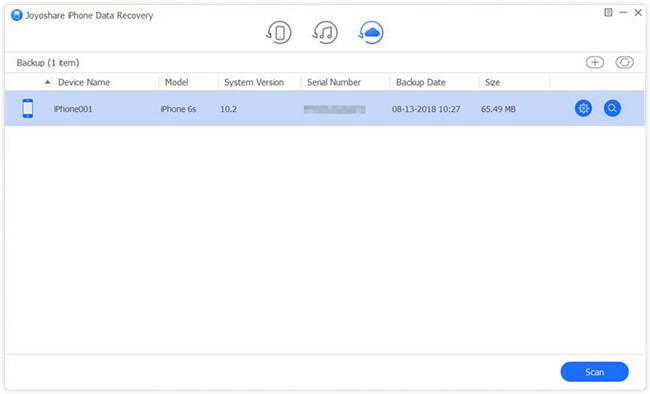 A third method worth mentioning is to recover data from an iCloud backup. If you have enabled "iCloud Backup" option on iPod touch "Settings" before data loss, you can go to check out this instruction. 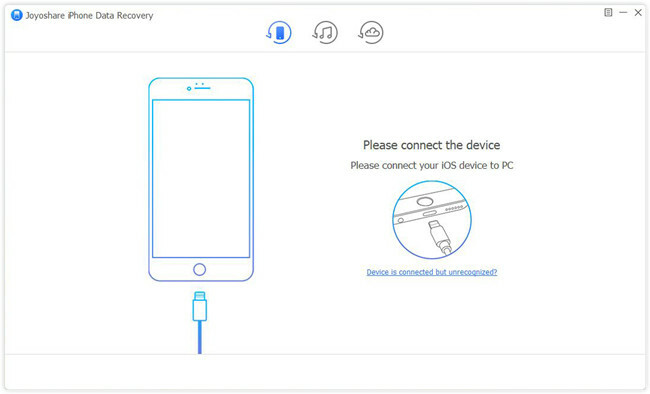 Get Joyoshare iPhone Data Recovery run and head to the "Recover from iCloud" mode. You will be asked to log in your personal iCloud account. Else, type in the received random code if the two-factor authentication has been turned on. 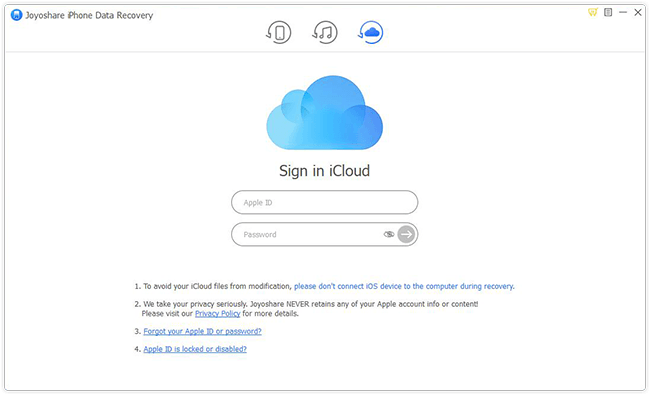 As long as there is no problem to access your iCloud account, you will see all iCloud backups. Download the one that you think may contain your deleted iPod touch data. Similarly choose data type and press on the "Scan" button. After a while, the scanning process will comes to end. You can carefully check all data one after another and select whatever you would like to restore. To save them on computer, just go forward to click on the "Recover" button.